We offer a different vibe from other dive shops in Dauin and Dumaguete. We offer cheap home-stay type of accommodation, great diving, and have the finest scuba equipment from major international brands. Explore & experience the true Filipino hospitality when you stay with the Bongo Bongo Family in Dauin. We do not offer luxury accommodation, or some resort like experience, what we offer is an authentic Filipino experience, with 5 in-house dogs, family, and friends dropping in and out of the house. You’ll never stay alone! There are always some fun people to hang-out with and plans are always made, so no one will ever feel left out. After all, when you come to us, you are immediately a part of the Bongo Family. Bongo Bongo Divers offer a different vibe from other dive shops in Dauin and Dumaguete. We offer cheap home-stay type of accommodation, great diving, and have the finest scuba equipment from major international brands, like Aqualung, Mares & IST, quality tested and checked to suit our diving environment. Your safety is our highest priority and we service our equipment on a strict schedule. Our scuba tanks are rented off the best supplier in the area with clean and filtered diving air. We have 100% oxygen, with demand and free flow valves from DAN Asia Pacific certified for a divers need in case of emergencies. Bongo Bongo Divers is a unique local home stay. We are placed next to the best dive/snorkel sites in Dauin. Dauin Marine Sanctuaries are one of the most successful in the Philippines. You are guaranteed to encounter sea turtles amongst hundreds of different reef fish & weird critters living off the coasts. The sites are just off the shore and are protected by buoys. These buoys serve as a guideline so that fisherman, fishing boats or any marine vessel can refrain from entering or endangering the marine life inhabiting Dauin’s coast. Diving in the area offer a totally different experience from the rest of the dive spots in the Philippines, with its brown volcanic sand, plus amazing life of extreme and rare underwater species. 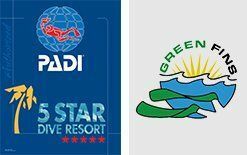 These sites can cater any level of certification in diving because of its geographical location. Our PADI Courses are of the uppermost standards, with the very best instructors handpicked from around the world! Our place is not a scuba factory; we always do our best to let every diver get most of what they wish for. At Bongo Bongo Divers we like it small! We never send big groups along with only one Dive Master. We maximize a group to only 4 divers (exceptions can be arranged if friends come in a group more than 4) If you like your DM in a thong this can also be arranged, please ask in advance for Marvin Bandoles because he is always in demand. Not a diver? There is still plenty things for you to enjoy. You can explore the surrounding area, with your own rental motorbike; we can also arrange a local Habal- habal (extra-long customized motorbike good for 3-4 people) if you are willing to enjoy or go overboard for space. A tour in one of our cars can also be organized, all depending on your budget and style for fun. If you want to bum around, just hang out in the beach, read a book, climb coconut trees or drink Tuba (coconut wine, a local delicacy) with the locals on the beach. Our fridge is always stuffed with beers so don’t hesitate to help yourself with our self-service bar. If you want a cocktail party or a barbecue grilling session, head down to the local market and cook it yourself in our common kitchen, help is always around so don’t be shy to ask. Dumaguete City is 15 kilometers away from Dauin approximately 15-20mins on a motorbike/ 10mins in a car. Diving is very scarce in the City, almost all dive shops located in Dumaguete comes to Dauin to do their dives. We are very close to Apo Island, so there is no need to worry about transportation from Dumaguete when you are already in Dauin. Just need to jump on a boat and we are set to go! Come with us, if you like simple and cozy accommodation with the best diving! We’ll make sure you guys will never regret it! 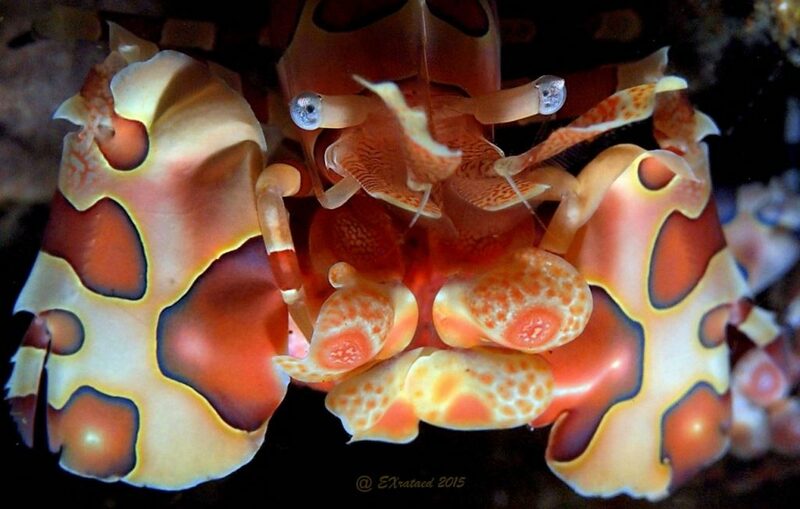 We’ll take you to Apo Island and other neighboring dive destinations with fun & expertise.